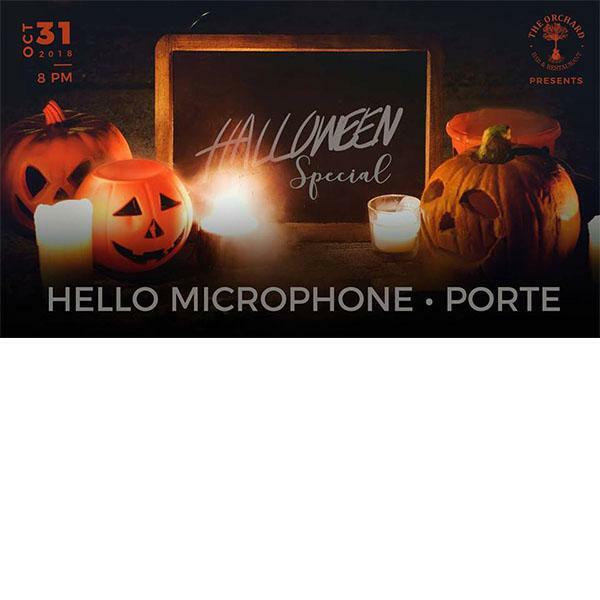 Celebrate the spookiest time of the year with some great live music as Hello Microphone and Porte will be performing for you right here at The Orchard! Put on your best costume as we will give out prizes for the best dressed! Come in as a famous scary musician of your choice (DEAD or ALIVE) and lets have some fun!